Singles draw has been made for the second Grand Slam of the season, the Roland Garros, taking place in Paris, from May 22 to June 5, 2016. 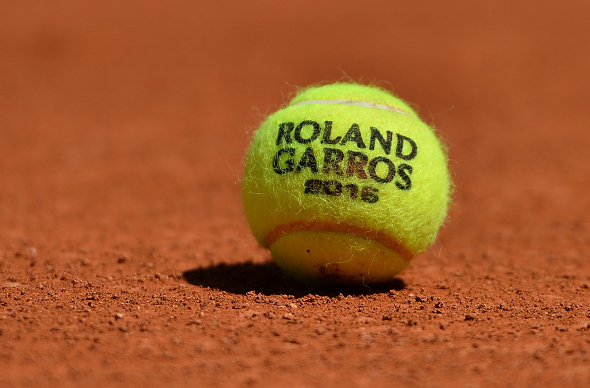 The French Open first round matches will be played during the first three days of the competition. Main courts are Philippe Chatrier, Suzanne Lenglen and Court no.1. World no.1 and top seed Novak Djokovic will open his campaign against no.100-ranked Yen-Hsun Lu (Chinese Taipei). The 11-time Major champion might face a qualifier in the second round. The Roland Garros is the only Major trophy Djokovic still hasn’t won. Should he succeed, he would join an elite group of eight players in completing the career Grand Slam. “The expectations are big not just from my side but from people around knowing that this is the only Grand Slam I never won. I don’t have any intention of slowing down yet. On the other hand, even if it never happens, I need to be very humble and realistic and see my results and my career need to be satisfied with what I have achieved so far. Even if my career was done tomorrow, I made some achievements that I must be proud of. So that’s how I approach things. I don’t try to approach them from a point of view of being obsessed with this tournament or with any other tournament, for that matter,” Novak said. It will be Novak’s 12th appearance on Parisian clay (48-11 record). Last year, the Belgrade native fell to Stan Wawrinka, 6-4, 4-6, 3-6, 4-6, in his third Roland Garros final.